Edradour has been known as the smallest traditional distillery, up in Pitlochry, Perthshire part of the Highlands region. Currently owned by Pernod Ricard, the Edradour distillery produces a range of different single malts under both the Edradour (unpeated) and Ballechin (peated) brands with a dizzying array of wine cask finished experiments as well! Finish – Sweet sherry fruits and spice – delicious! The gent who encouraged us to try was a merry Scottish fellow but completely mixed up the contents and context! 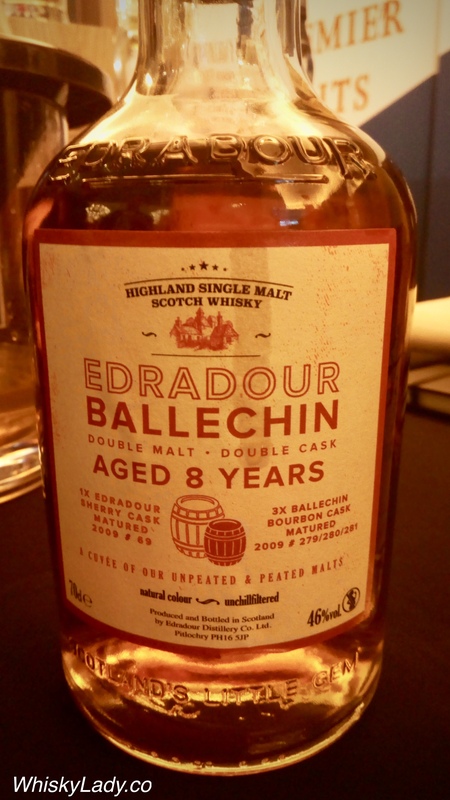 It is a marriage of Edradour’s un-peated ex-Sherry cask # 69 and the peated Ballechin ex-bourbon casks # 279, 280 and 281. It was rather good and I was exceedingly surprised to discover how affordable it was in the UK at GBP 50… alas in Singapore it is a pricy SGD 198 (ie more than double at GBP 115). No doubt this was some quality sherry and the bottle noted it was a first fill sherry cask. If you are curious, in Singapore, this bottle goes for SGD 258 and was specially selected for La Maison du Whisky. 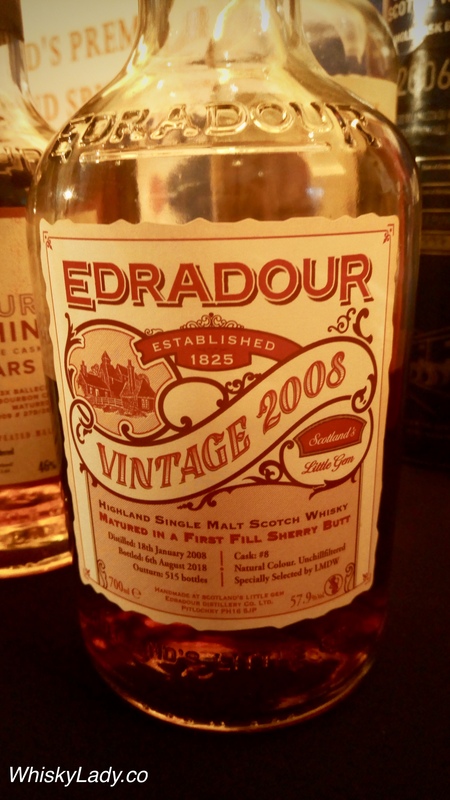 What about other Edradour’s sampled by our Mumbai based tasting clubs over the years? This entry was posted in Highland, Peat, Scotland, Sherry and tagged Ballechin, Edradour by Carissa Hickling. Bookmark the permalink.